After 57 years, Canada has hit a new record of extreme cold alert. This December, it reached up to -30 degrees C so far. 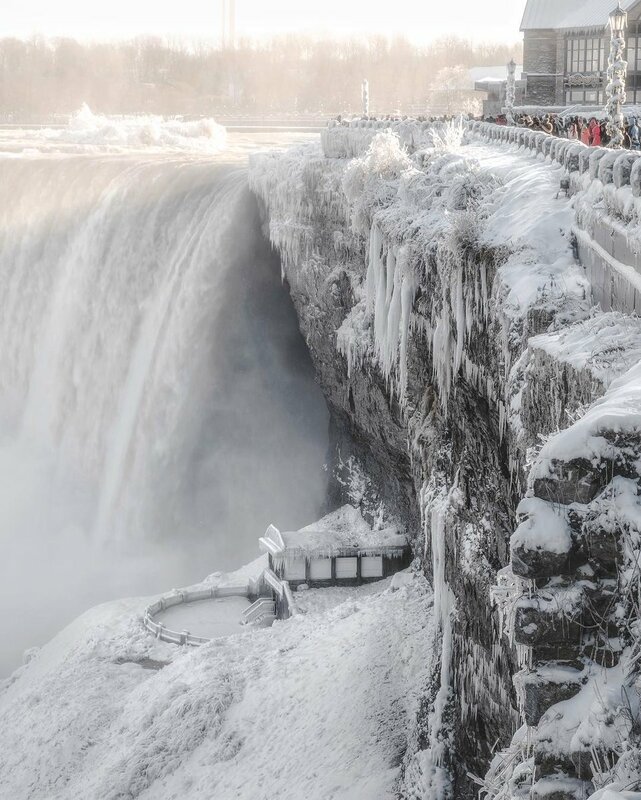 Even though it’s freezing cold outside — even for a Canadian to outside for a second — some have bravely chosen to weather the frostbite in order to see the world famous Niagara Falls. In some amazing shots, social media users have allowed us to witness the triple waterfall in its stunning icy form. It’s beautiful, but the walking is treacherous…brutally cold…and, oh, the wind! The bathrooms are mercifully toasty, though. 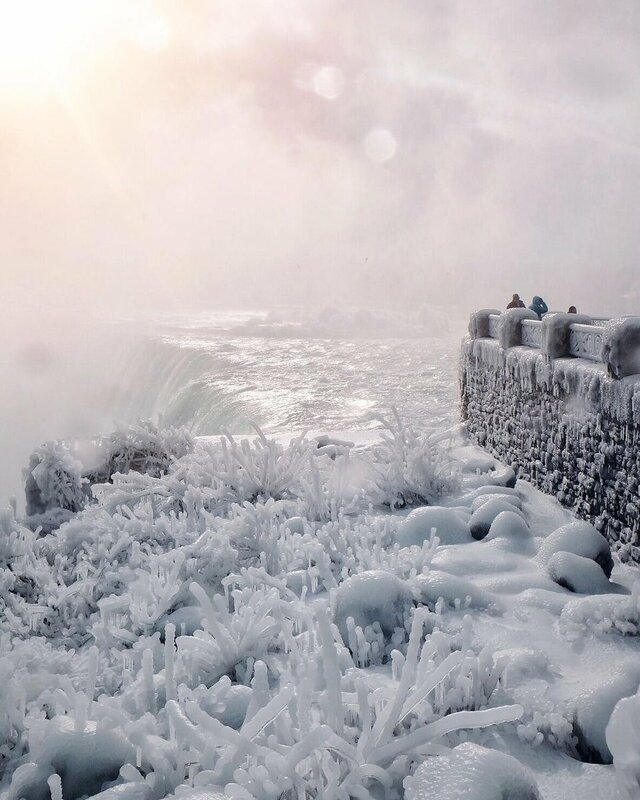 You can visit Niagara Falls any time of the year. Everyday is different and more beautiful than the day prior. You have to see in all seasons! But winter is most amazing.It’s cold but so beautiful. According to Environment Canada, this coming year may be the coldest winter for Canadians in years. It could reach up to -42 degrees C. Other provinces are already feeling the freeze. So far, Toronto has been steadying between -15 to -20 degrees C, and while we may be getting a frozen paradise, climate change is hitting our winter season with more icy chills than the last. 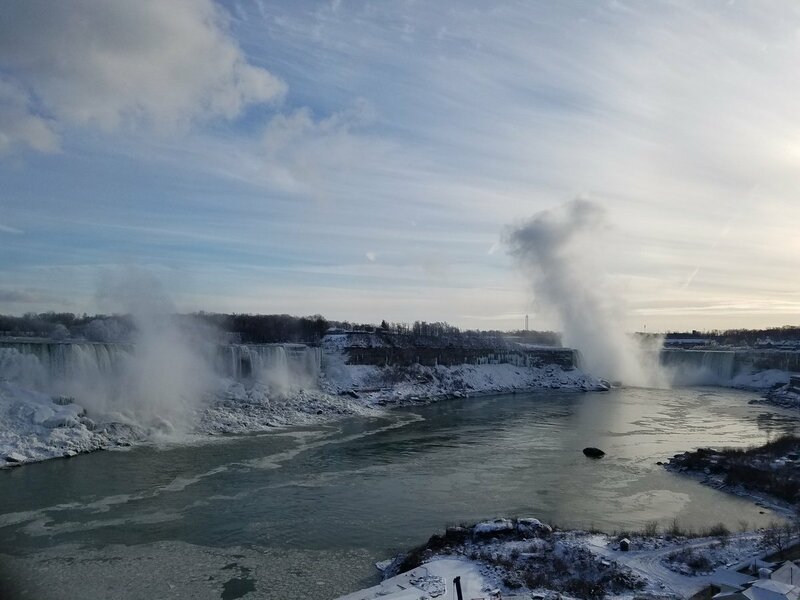 Would you risk the frosty cold to see Niagara Falls in winter? If you do, I highly recommend stopping by Tim Horton’s and grabbing yourself an extra large french vanilla before you take those selfies next to the Horseshoe. Hannah is a graphic designer by day, an avid reader at night, gamer at heart and fashionable by sight.